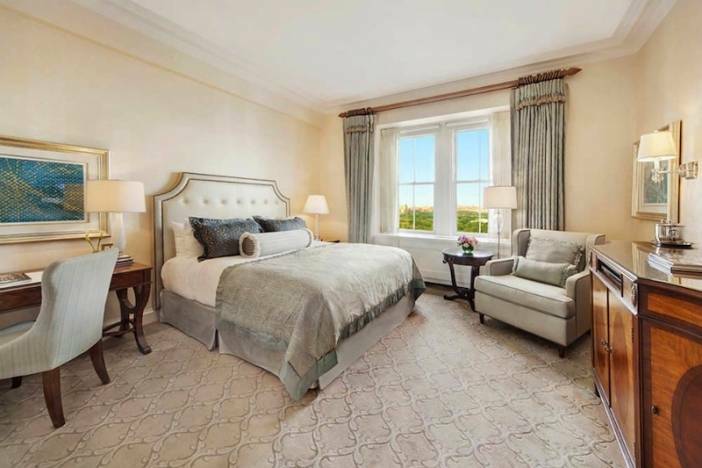 New York City is known for its fast-paced living, the finest in dining and entertainment, and having some of the priciest (and most luxurious) pads in the entire world. 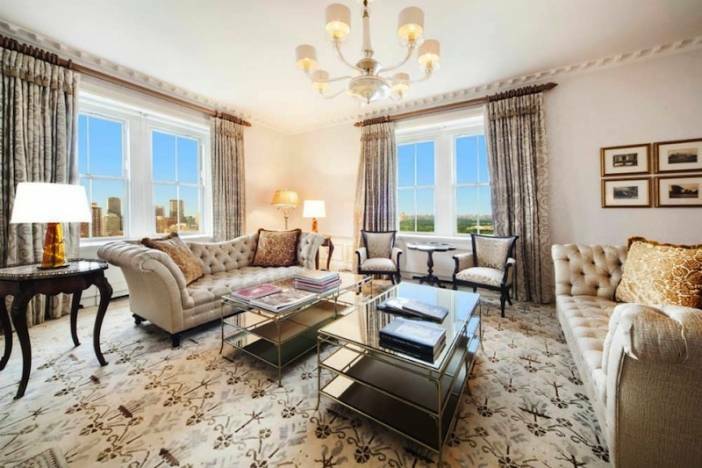 So how much could the most expensive rental in the Big Apple possibly be? 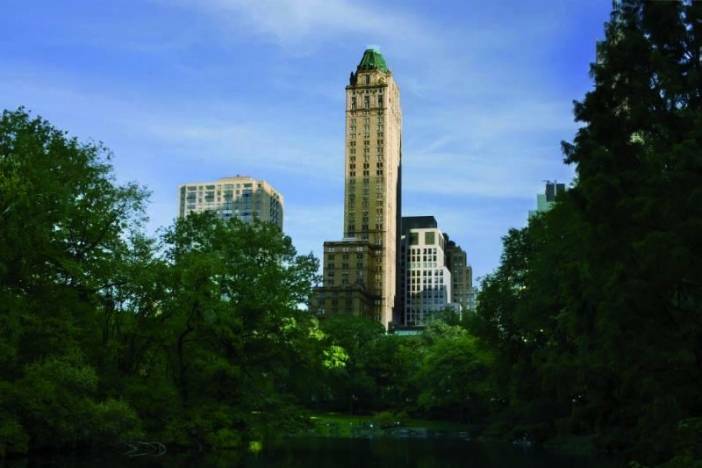 The answer can be found in Manhattan’s famed Pierre Hotel, where the 39th floor is currently available for lease at a whopping $500,000 per month. 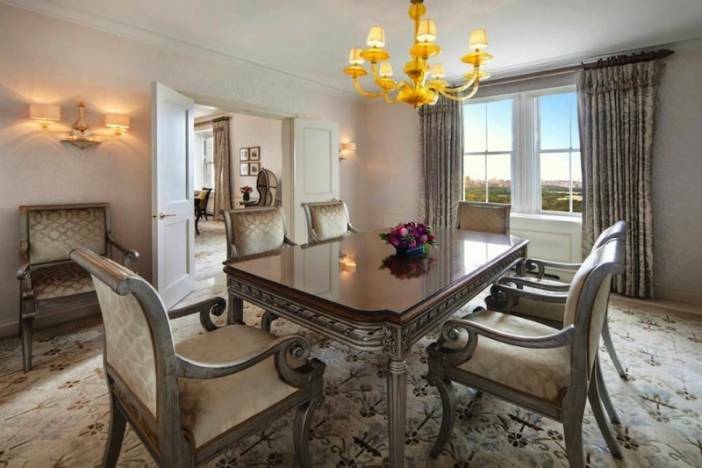 The 39th floor includes the hotel’s prized, two-bedroom Presidential Suite, which can be booked as a regular hotel suite for $20,000 a night, or (for extended stays) $400,000 per month. However, when combined with the floor’s adjacent rooms—as indicated on the listing—it becomes a palatial 4,786-square-foot mega-suite with six bedrooms and six-and-a-half bathrooms. The elegant, fully-furnished suites possess a wide range of luxury elements. The living, dining, and sitting rooms are complete with custom furniture, couture fabrics, and Murano glass chandeliers. 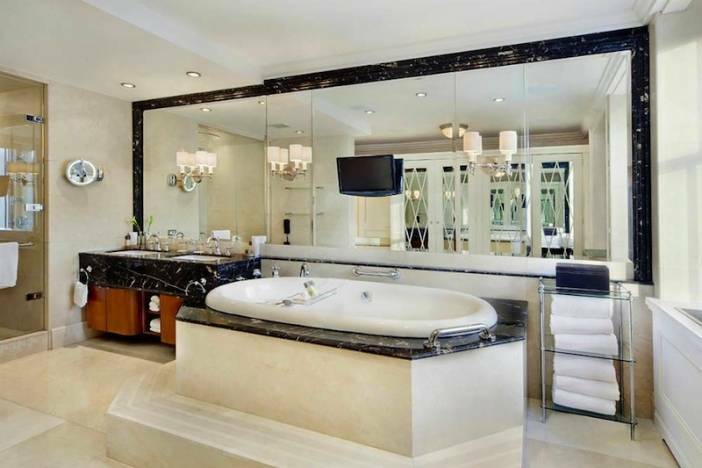 Other features include high ceilings, en-suite marble baths (resembling spas), and curated artwork. An ideal Upper East Side location, facing Central Park, provides the lucky inhabitant(s) with spectacular, panoramic city views. 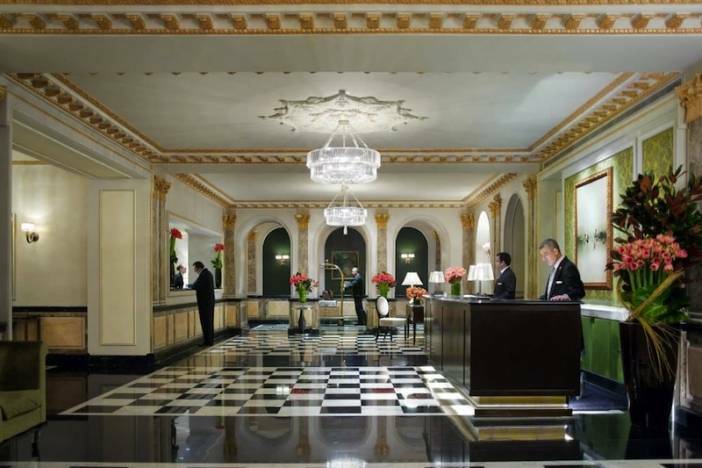 Additionally included in the eye-popping price tag are the premier amenities provided by the Pierre Hotel, such as a private elevator landing, butler service, twice-daily housekeeping, and a chauffeur-driven Jaguar. 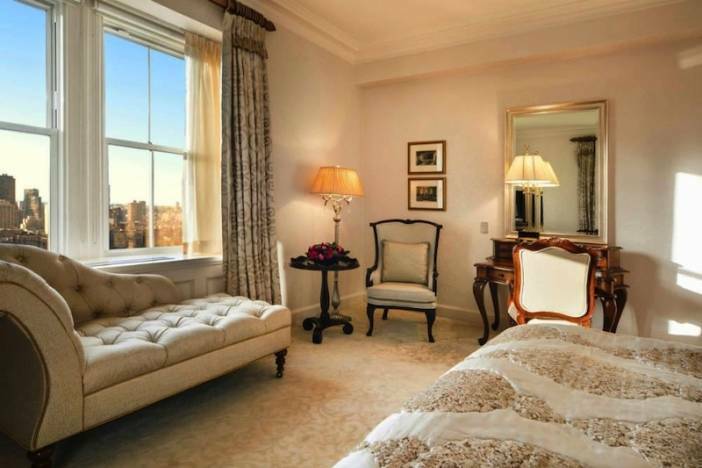 This is the first time the Presidential Suite has been offered for extended stays, according to the hotel. As part of the newly-launched Pierre Hotel Residences program, the grouping of suites that comprise the 39th floor can now be rented altogether, or separately, on a month-to-month basis. The Pierre Hotel initially opened for business in 1930, and was designed by New York architecture firm Schultze & Weaver. It is located at 2 East 61st Street, at the intersection of Fifth Avenue.